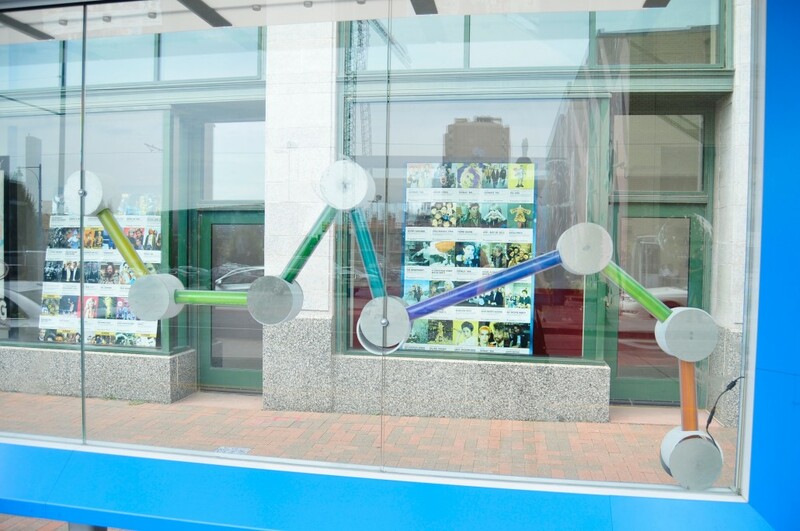 SOUNDSHAPES: Connecting the Dots is an interactive site-specific sculpture that highlights the currency of creativity and fosters friendship and collaboration in the innovative KC community. 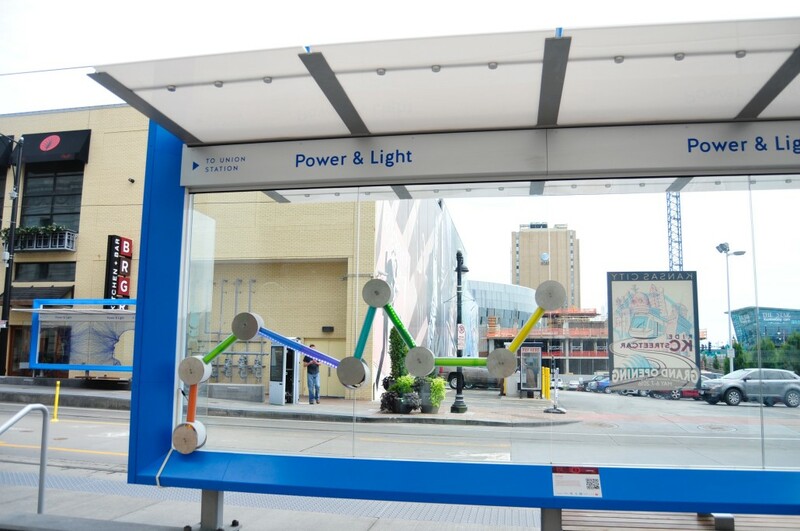 We plan to install the configured tubes and touch points on the West side Streetcar Shelter located at 14th and Main Street in the Power and Light District. 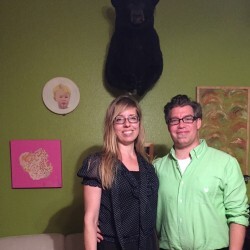 The visuals verbalize that people from all different walks of life are better when we connect and work together. 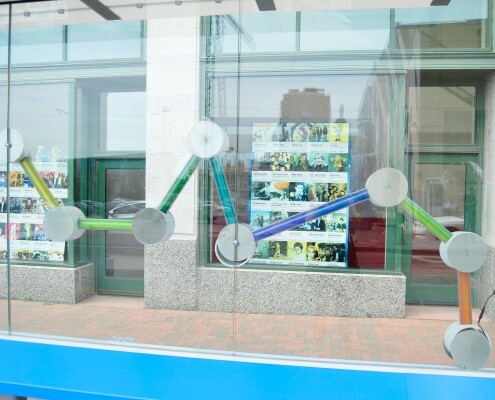 During daytime, the sculptural elements allow viewers to imagine a sort of topography of vibrant community. 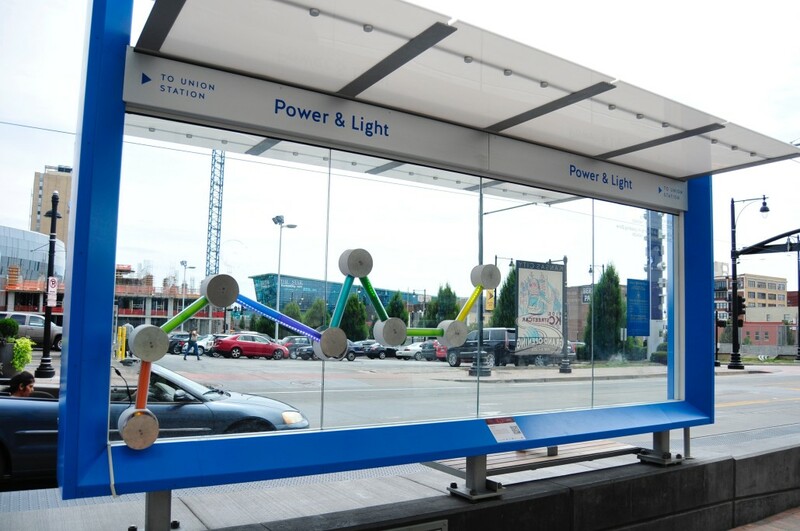 At night, viewers will activate LED lights in colored PVC tube sections of the sculpture by touching the metal disks between them while waiting for the Streetcar. The series of tubes represent voices, synapses, chemical and conceptual synergy as well as sculptural elements of conjoined, colored light that change intensity of light. The strong lighting elements in our pieces are the powerful points at which memories are formed, celebrations of past present and future, cultural chandeliers. 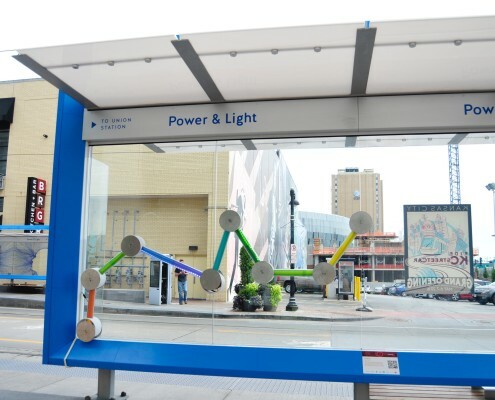 The sculpture will be in constant flux because of its interactive nature, and will invite foot traffic in the downtown area to connect and engage with its changing outcome. 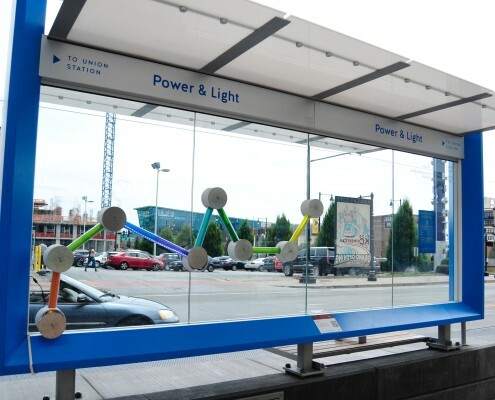 SOUNDSHAPES will be located on the Power & Light Streetcar shelter, Southbound.